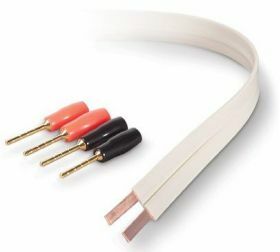 High-Performance Flat Speaker Cable with Precision-Formulated Polyethylene Dielectric Material for High-Accuracy and Natural Sound Quality. 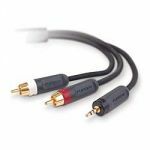 Fifteen-gauge speaker cables improve power transfer and sound accuracy over higher-gauge cables. 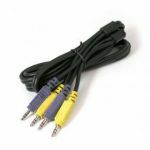 The recommended minimum gauge for smooth sound reproduction is 18-gauge; the longer the cable length and the larger the amp, the heavier the gauge required. 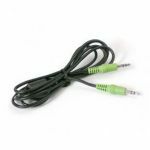 This PureAV Flat Speaker Cable hides easily along baseboards and under carpet with its thin, flexible design.